* I received the following products for my honest review by Sea Lore. I have a brand new spring collection by Sea Lore to review for you today. If you remember, I reviewed Sea Lore's Triton's Daughters collection last summer and absolutely loved them! Sea Lore creates some beautiful glitter/shimmer combinations that really stand out. The Spring Seas Collection did not disappoint. 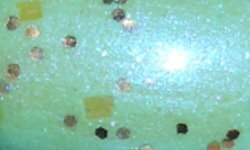 Note: I will be using Sea Lore's descriptions for these polishes. Dancing Discus is a sheer soft peach with a shifting blue violet glow. 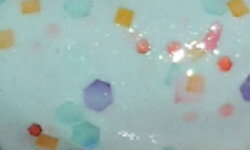 She has various sizes of iridescent hexes, blue green squares and tiny golden glitters. (2 coats over base). Colors & Finishes: I love the variety of colors and finishes with this collection. My favorite thing Sea Lore does is add special shimmers or iridescence to the bases of the polishes that make them extra special. These polishes are far from flat and boring! I find it very hard to choose favorites here. I have to say Dancing Discus is really something unique and special though! Formula: The formula on these was easy to work with and apply. I did not have any noticeable troubles with any of these. 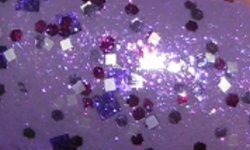 The glitters spread evenly and nicely. I think some of these I used over bases could be build up to wear opaque, but it is always my preference with sheerer bases to layer them. 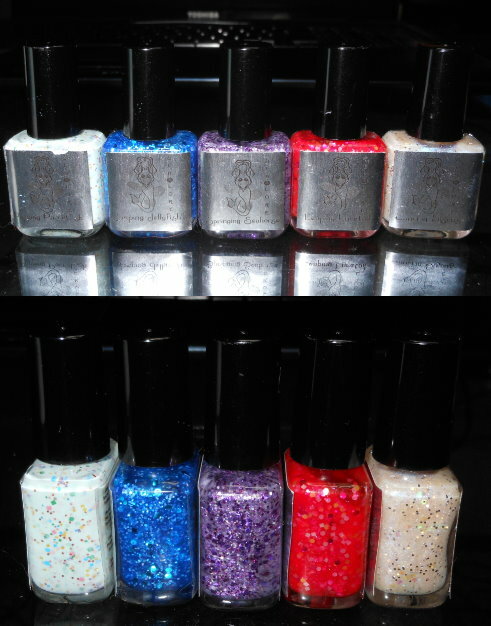 Price: These polishes can be purchased for $10.00 for 15ml size or $5.50 for 7.5ml size on the Sea Lore website. Overall: I really enjoyed this collection. The finishes are beautiful and unique, and the formula was on par too! Be sure to check out Sea Lore's website and Facebook. Wow great collection! Those are some beautiful colors. These are all so pretty! I like them all but my favorites are Popping Parrotfish and Springing Seahorse. Oh, I love them all!! wow. i love all the polish colors!